It seems like such a great idea: summer golf in Michigan. We have weathered through the cold winter and the wet spring and the beautiful, temperate summer is our reward. It’s fun and great exercise and just plain rejuvenating to get out and play 18 holes regularly. But don’t be fooled. Despite the relaxation that golf at its best can provide, golf can also pose chances for injuries and pain. In general, golf injuries are caused by repetitive use, the same thing that causes carpal tunnel syndrome and tendonitis. When golfers repeat the same motion over and over, they can unwittingly put serious stress on the same muscles, joints and tendons, causing injury. 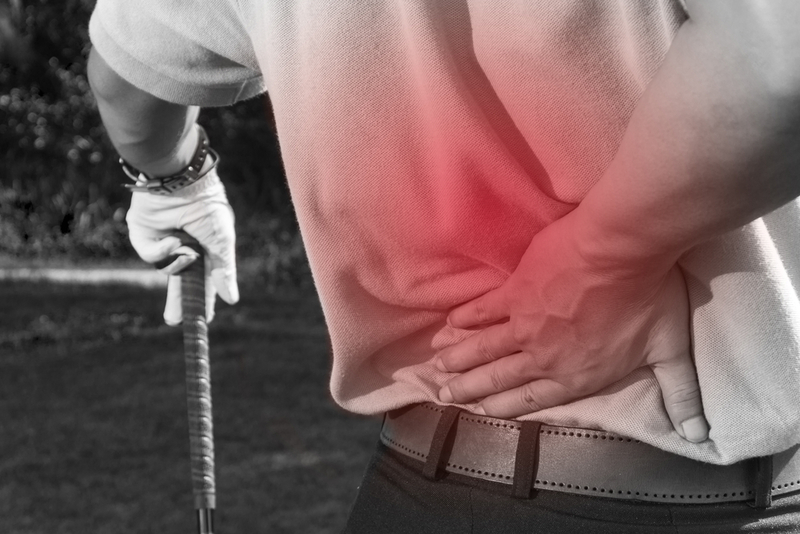 The most prevalent golf injuries are golfer’s elbow and low back pain. Golfer’s Elbow is also known as medial epicondylitis. Golfer’s elbow is essentially an inflammation of the tendons that connect the muscles in your forearm to the inside bone at your elbow. Golfer’s elbow results from overuse of these muscles and tendons, which can lead to pain and soreness at the point of the elbow closest to the body. You can prevent golfer’s elbow by strengthening these muscles, particularly the muscles in your forearm. Some easy exercises include squeezing a tennis ball for at least five minutes per hand, and any wrist curling exercises that are weight-bearing. Low Back Pain is caused by golf swing mechanics that put additional pressure on the muscles in your low back. 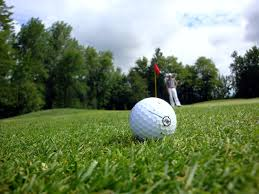 If you suffer from poor flexibility or weakened muscles in that area, a round of golf can exacerbate that weakness. In addition, you have to be aware of how you’re toting around your golf bag, being sure to lift it appropriately. You can prevent low back pain by increasing your flexibility and strengthening the muscles in the back and abdomen. Yoga and Pilates could be helpful, as well as basic stretching. Abdominal workouts like crunches also build strength and add to flexibility. Any weight-bearing activities that mimic rowing or pulling down can also add to back strength. Golfers could also benefit from checking in with a trainer or golf professional to have another person examine their swing, correcting mechanical flaws that could contribute to back problems. Typically, the issues in a swing that should be corrected are poor posture and overswinging. All golfers should spend time stretching before a round, paying special attention to arms, wrists, back and abdominal muscles.